Please click on the photos to see an enlarged version! James Abraham Allman. Woodlands, Bandon. 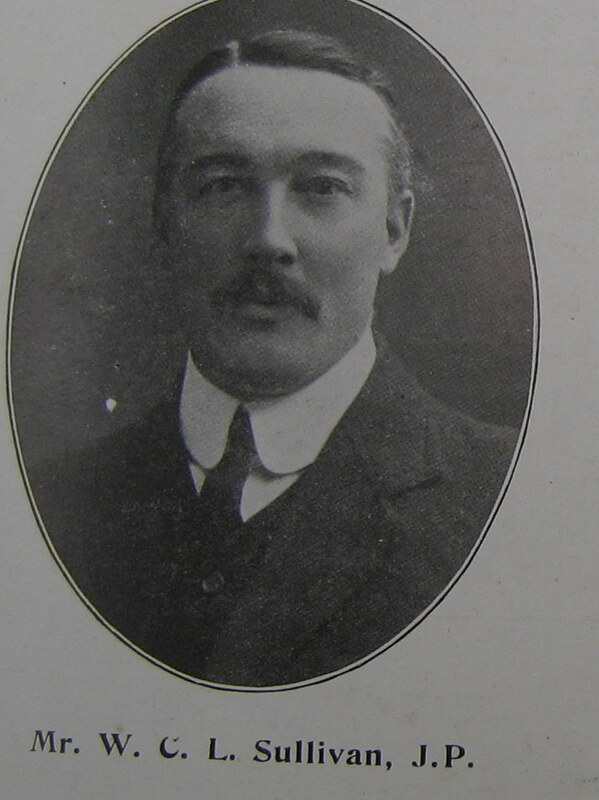 Son of Richard Lane Allman MP, JP of Woodlands, Bandon. Last Liberal MP for Bandon Bridge and joint owner of Bandon Distillery and Bandon Brewery, and of Francis Vernon, third daughter of James Splaine, JP of Garrane, Templemartin, Co Cork. Born at Bandon on 13th June, 1867. Educated at Rugby. For ten years resided at Pau, Avarache and St Malo. Was for a short time engaged in Bandon Distillery, then took the position of a country gentleman; Later became a managing partner of Bandon Brewery. Recreations: hunting, fishing, shooting and yachting. For some years a member of County Cork Club andalso of the Cork and the Royal Albert Yacht Club. James Clugston Allman. JP Ardnacarrig, Bandon. Son of James Allman, Bandon. Born at Bandon on 24h March, 1822. Educated at Dr Brown's School, Bandon. Distiller and brewer. Joint owner (with his brother R.L. Allman JP of Woodlands, Bandon) of Allman and Company's Distillery and Allman, Dowden and Company's Brewery. Recreation: Yachting, hunting and shooting. Henry Daniel Conner, KC, MA, JP, Manch House, Ballineen and 16 Fitzwilliam Place, Dublin, eldest son of Daniel Conner, JP of Manch House, and his wife Patience, daughter of Henry Longfield JP of Waterloo, Co Cork. 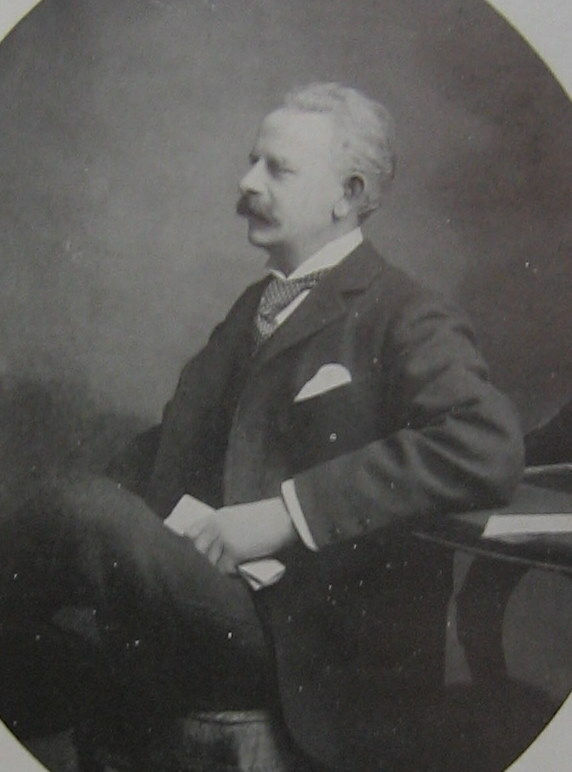 Born at Manch House on 3rd October, 1859. Educated at Stratford on Avon and Trinity College, Dublin. MA, Senior Exhibitioner and Golf Medalist. Barrister at Law 1882. QC 1899. Justice of the Peace in Co Cork, Chancellor of the Diocese of Killaloe. Bencher of Kings Inn. 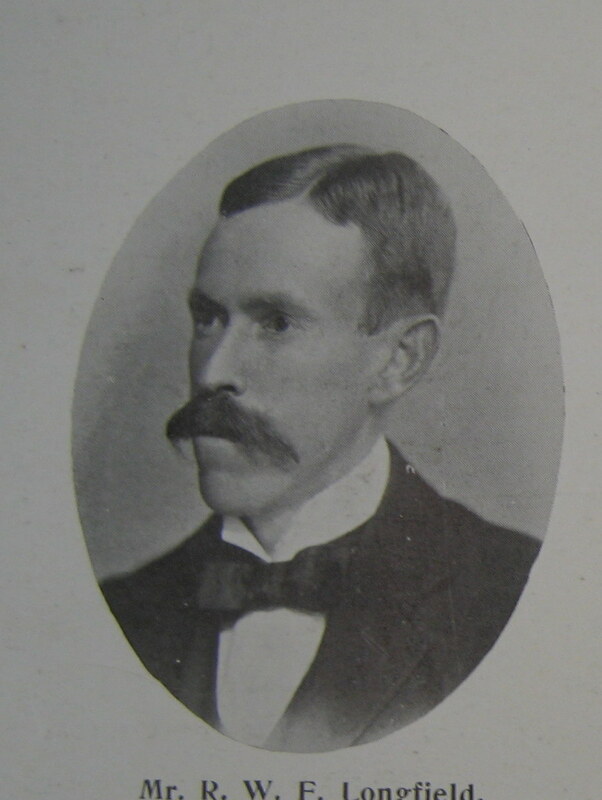 Author of "The Fishery Laws of Ireland" 1892 (2nd edition 1908). Recreations: shooting and fishing. Married in 1881, Anne, daughter of Rev. Goodwin Purcell, of Charlesworth and formerly of Glenanore Co Cork and had issue two sons, Daniel Goodwin (Royal Field Artillery) and Henry Longfield and one daughter, Alice Mary. Clubs: University, Dublin and County Cork. 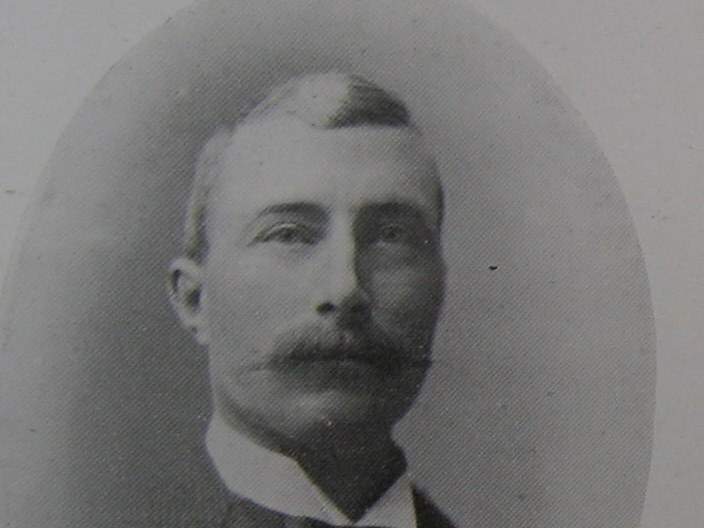 Colonel William Daniel Conner, Downdaniel, Innishannon, Co Cork. Son of R.M. Conner, fellow of Trinity College, Dublin. Born in 1854. Colonel of the Royal Engineers. REnEntered Royal Military Academy, Woolwich in 1871, and the Corps of Royal Engineers in 1873. Retired 1904. Served in In dia, Burma, Malta, Cyprus and Canada. Afghan war 1879. ADC to the Governor of Bengal 1883-1885. 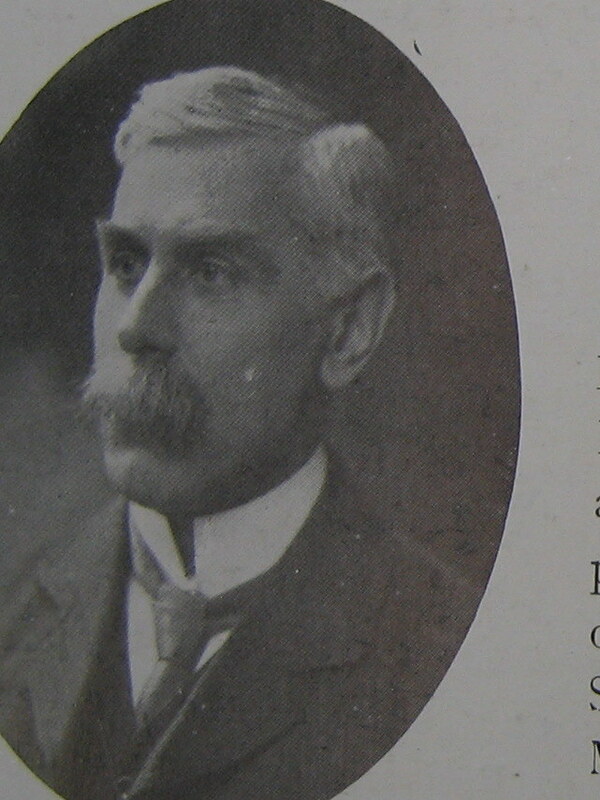 Instructor and Professor of Fortification, Royal Military Academy, Woolwich, 1889-1899. Commanding Royal Engineers, Canada 1901-04. Married in 1909, Maye Arundell, second daughter of Rev Arundell Leakey, Vicar of Wendron, Cornwall and had one son, Richard Arundell, born 1910. Clubs. Army and Navy, Pall Mall, SW, and County of Cork. Mr E.S. Cromie, Eversleigh, Bandon. 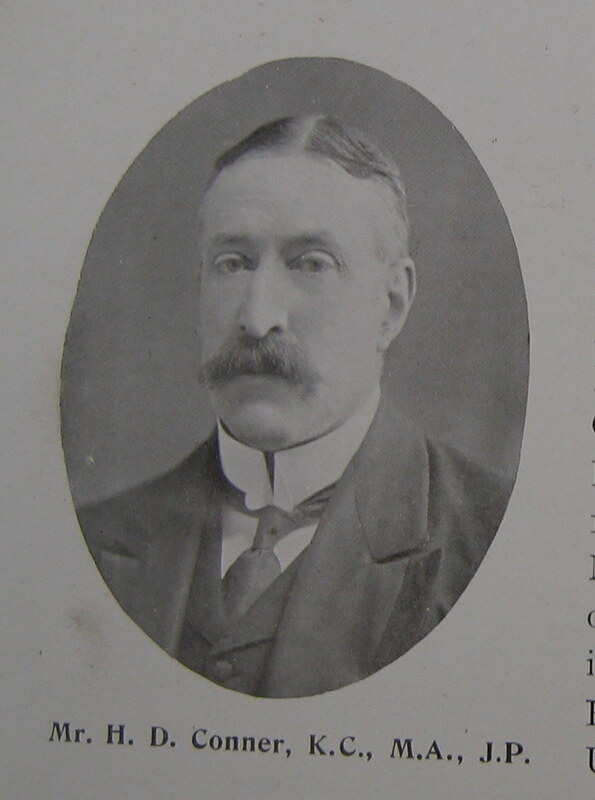 Son of Robert Cromie, MD, JP of Clough, Co Down and brother in law to Sir John Newell Jordon, KCB, Ambassador to China, and brother of Richard Cromie, the well known author. Born on 26th March, 1864. Educated at Assembly's College, Belfast and Quewen's College, elfast. BA 1885 with honours in Mathematical Science. On 8th August, 1887 he was appointed Inspector of National Schools and successively stationed at Millstreet, Co Cork, Killarney, Birr, Cork City and then Bandon. Married 5th January, 1904, Lillie Workman, daughter of Rev RJ Arnold MA of Dunmurry, Co Antrim. Achilles Thomas Daunt, JP of Kilcascan Castle, Ballineen, Co Cork. 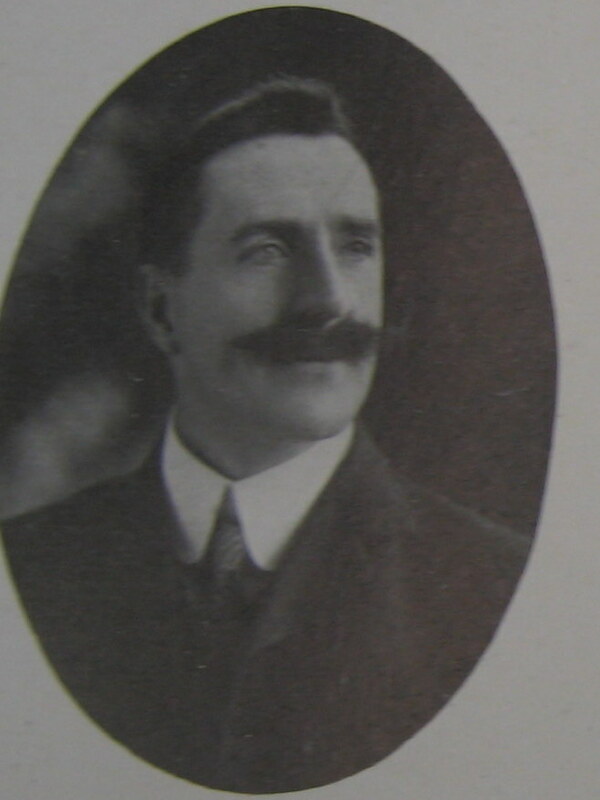 Son of William Joseph O'Neill Daunt, MP for Mallow and Ellen, daughter of Daniel Hickey. Born at Kilcascan, 9th October, 1849. Educated at Ushaw College, Durham, England. Justice of the Peace for Co Cork. Author of many boys' books; a contributor to journals and magazines on religious and scientific subjects. Recreations included shooting and fishing and hunting with the Carbery hounds; also literature and science. Married on 15th May, 1877, Anna Maria, daughter of Bartholomew Corballis of Berwick and niece of John Corballis, QC, of Rosemount, Co Dublin and had issue two sons, Achilles, Thomas Wilson O'Neill who served in the South African Constabulary during the Boer war, 1899 - 1902 and married Elizabeth, daughter of the late George Dey of Moose Creek, Ontario; Reginald Nigel Francis Joseph O'Neill in Canada; and two daughters, Henrietta Mary Frances Louisa O'Neill married to Francis Goring Wilmer of Lahinch, Streatley-on-Thames and Mary Lucy Dorothea O'Neill. Surgeon Lieutenant Colonel William Fuller Bennett, MD, Riverside House, Bandon, Co Cork: Son of the Reverend T.G. Bennett, BA, late Rector of Kilmacabea, Co Cork. Born 9th May, 1843 and educated at Queen's College, Cork and the Royal College of Surgeons, Dublin. Took the Degree of MD in 1858, also M.Ch and L.A.H. In 1869 he joined the staff of the Army Medical Service and served in Singapore, Hong Kong, Ceylon etc. Went through the 1873 Ashantee war under Lord (then Colonel) Wolseley. He was then stationed in India and served under Lord Roberts in the Kabul Kandahar campaign. He was then stationed at home for two years, when he went to Egypt and was stationed at Assouan, First Cataract; returning home, was stationed at Edinburgh. He retired in 1888 with the rank of Surgeon-Major, being subsequently promoted to Surgeon Lieutenant Colonel. He was awarded the Ashantee Medal, 1873-74; the Indian Medal, 1878 and the Kabul and Kandahar Star 1880. Married in 1883, to Annie Alberta, daughter of George Beamish of Mount Meilan House, Bandon and had three sons and one daughter. 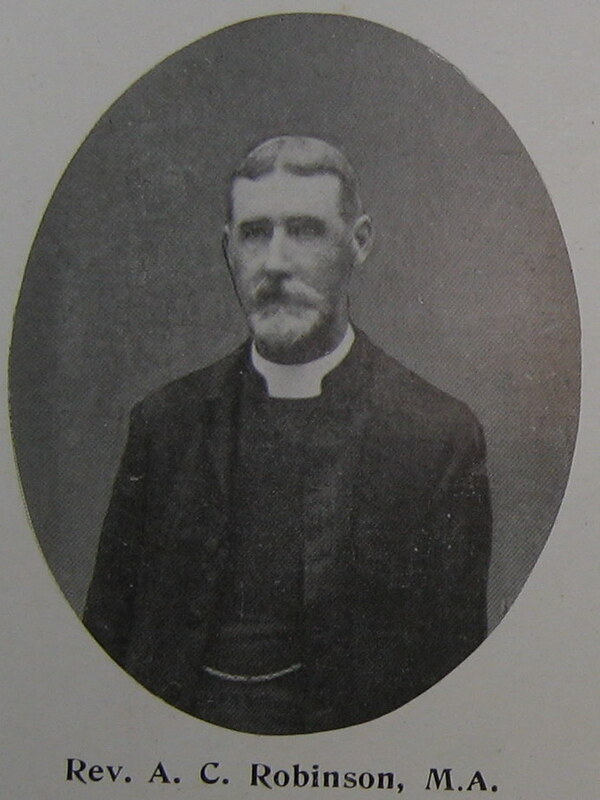 Rev Canon Edward Robert Emerson, DD, St Peter's Rectory, Bandon. Son of Rev George Emerson. Born at Bandon, 1st January, 1838. Educated at Bandon Grammar School and Dublin University. Graduated BA 1861, MA 1873, BD 1874, DD 1876. Ordained Deacon 1861 and priest 1862 at Cork. 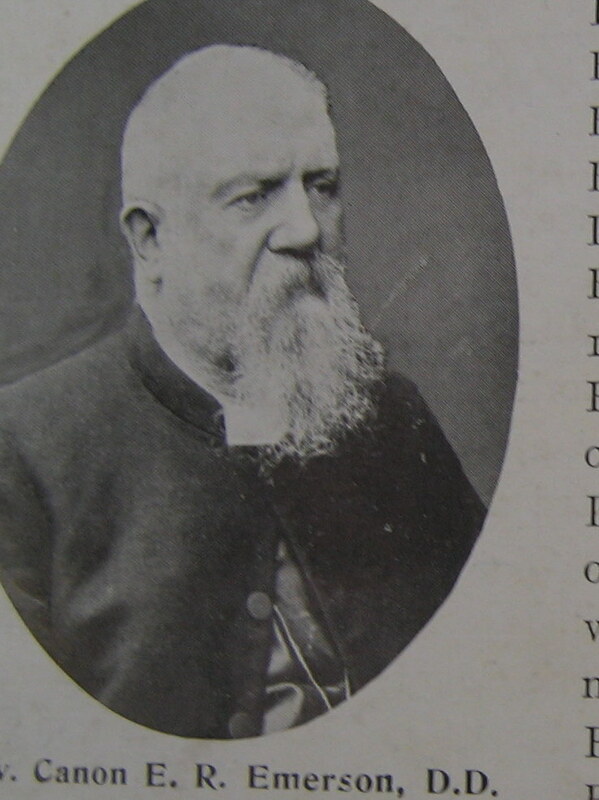 Rector of Ballymodan, Bandon from 1890. Formerly Curate of Dunmanway, 1861-1865. 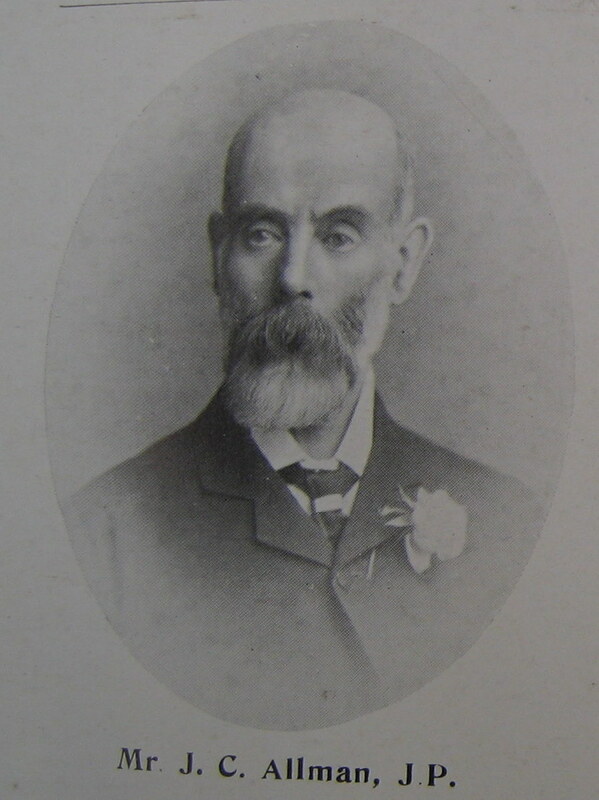 Rector of Edmund's 1865-90. Appointed Canon of Holy Trinity, St Fin Barre's Cathedral, Cork 1884. 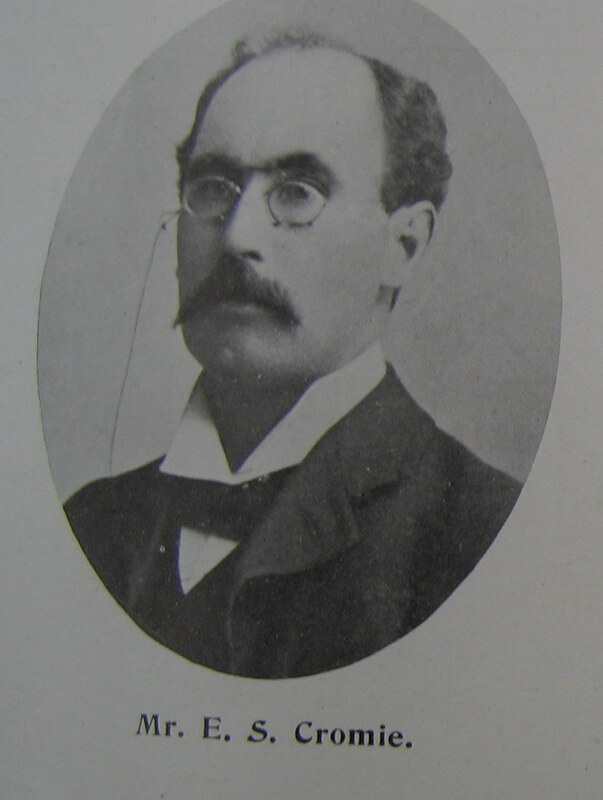 Treasurer of Cork, 1899. Precentor of Cork, 1902. 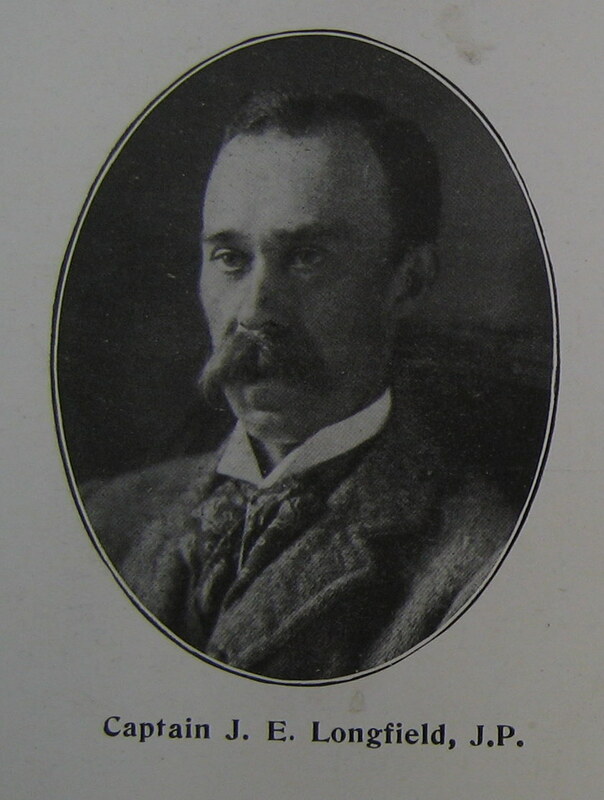 Rural Deanof Kinalea Ultra, 1884. 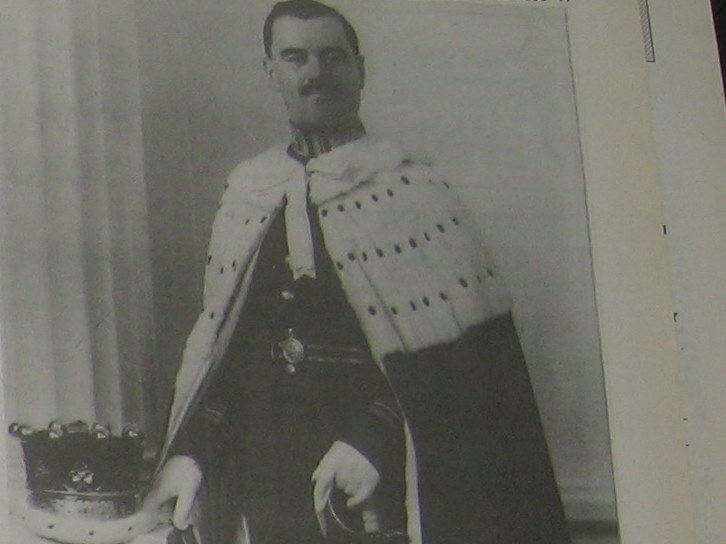 Chaplin to successive Lord Lieutenants of Ireland since 1890. Chaplain to Earl of Bandon KP. Was select preacher to University of Dublin 1901-2. Member of Diocesan Council. Member of General Synod. Hon Diocesan Seceretary to Right Rev Dr Blyth, Anglican Bishop in Jerusalem. Chaplain to Bandon Workhouse, Trustee of Allin Institute, Bandon. Vice President of Bandon Young Men's Association. Author of sermons and lectures on St Athanasius published at request of the Lord Primate of Ireland. Patrick Joseph McCarthy, Kilbrogan House, Bandon. 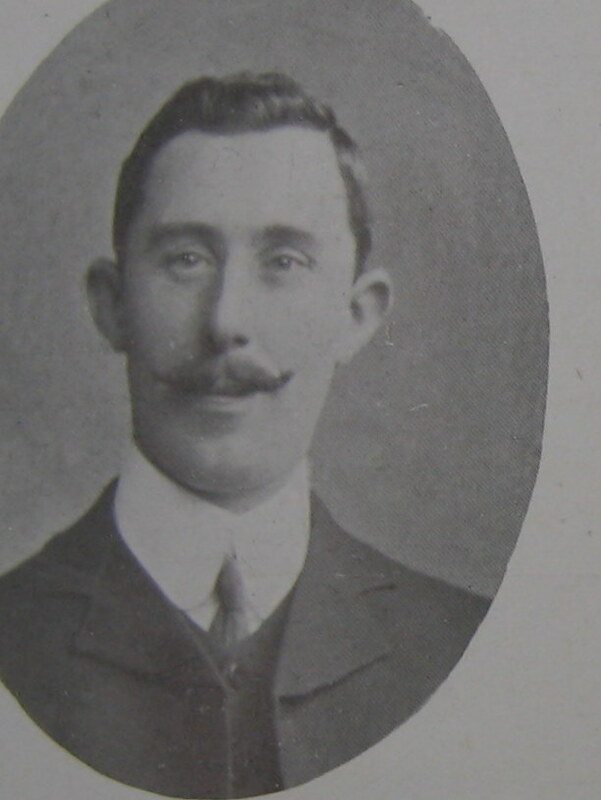 Son of Patrick McCarthy, solicitor, Baleliew, Co Limerick. Born in 1858. Educated at the University and Diocesan Schools, Limerick and Queens College, Cork. Three years scholar and Law prizeman, Queens College, Cork. Articled with J.C. and A. Blake, solicitors, Cork. Competed for the Findlater Scholarship. Admitted a solicitor in 1879. Practised after that in Bandon offices. SOuth Main Street, Bandon. Commissioner for Oaths. Member of Bandon Town Commissioners of which he was for several years Chairman. Married 11th September, 1894, Lilly, daughter of Patrick Donegan, JP for Dublin City and County and Co Meath and had issue two sons and four daughters. Richard W.F. Longfield, Millbrook, Bandon, Co Cork. Son of the late Rev R. Longfield, Rector of Mogeely, Co Cork. Born 17th January, 1861. Educated at Trinity College, Dublin. Senior Moderator and Gold Medallist in Experimental Physics. BA 1883. BAI 1885. Member of the Institution of Civil Engineers. member of the Institution of Municipal and County Engineers. From 1887 to 1892 was engaged upon various railway works in the Argentine Republic and in Uruguay, including location surveys of the Bahia Blanca and North Western Railway and of the proposed Chumbicha and San Jeran Railway for John G. Meiggs, Son and Company also of the Western Railways of Uruguay for the Construction Company. Sectional Engineer on the construction of the northern e4xtension of the Central Uruguay Railway under Robert Crawford. M. Inst. CE. returning home he held the position of County Surveyor for Co Donegal, Southern Divions from 1895 to 1898 and since 1898 has been County Surveyor for Co Cork, West Riding. Married in 1899, Maria Louisa, duaghter of the late Rev Thomas Henry GTollock, of Forest House, Co Cork and had one daughter. 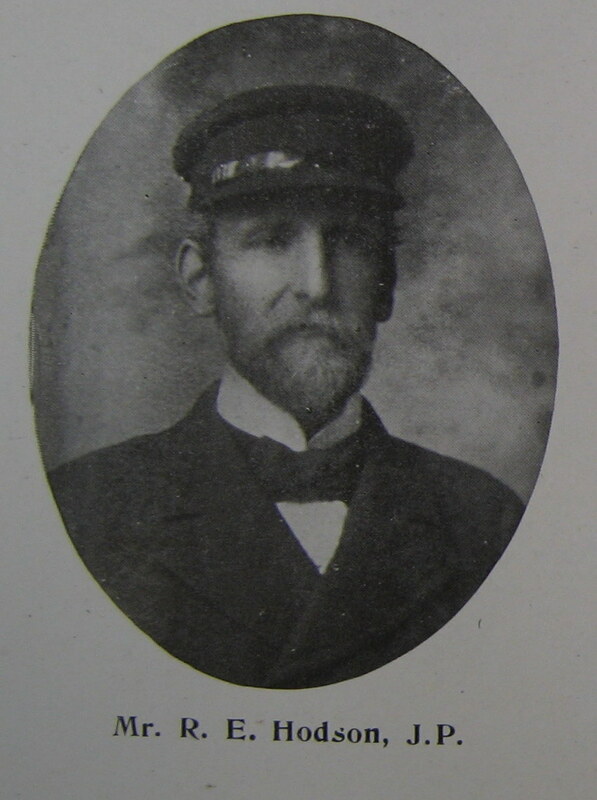 Captain John Edmond Longfield, JP. Kilcoleman, Bandon, Co Cork. Only son of the late General John Longfield, CB of Kilcoleman and grandson of Lieutenant Colonel John Longfield, JP of Longueville. Born at Kilcoleman on 4th April, 1865. Educated at Trinity College, Dublin. BA. Captain 9th Batt. Kings Royal Rifle Corps. Justice of the Peace for Co Cork. Married 19th February, 1898, Elinor Mary Augusta, daughter of Henry Longfield, JP of Mallow, Co Cork and had issue Elinor Frances Beatrice jorbn 10th June, 1899, John Foster, born 15th July, 1906 and Margaret Lillian, born 20th March, 1908. James Joseph Murphy of Kilbrogan Hill, Bandon. Eldest son of Michael Joseph Murphy of Lough Neill House, Crookstown. Born at Lough Neill House, June 1876. Educated privately and at the Christian Brothers School, Cork. After leaving school he entered the employment of one of the most successful business men in the south of Ireland, Joseph Brennan, Brewers' Agent and Secretary to the West Cork Bottling Company Ltd whose representative he has been for over eighteen years. Recreations (in the past) football, rugby and gaelic. Married in July 1906, Agnes, third daughter of Michael Hanly of Castletownberehaven of one of the oldest families in the district and had issue Eileen, Born June 1907, Una born January 1909 and Kathleen born May 1910. John Reid, MD of Glensalney, Bandon and Bank Place, Bandon. Son of Henry Reid of Grange House, Ovens, Co Cork. Born June 1871. Educated at Fawcett Collegiate School, Cork and at Queens College, Cork. Took the degree of Bachelor of Arts, RUI in 1893. MB, B.CH and BAO (all upper clapass). RUI in 1894. Also LHA Dublin 1894, then took super graduate courses in Medicine and Surgery in Dublin, London and Paris. In 1901 the degree of MD, RUI. Was prizeman, scholar and exhibitioner at Queens COllege, Cork. Was for two years Senior House Surgeon at South Infirmary, Cork and since 1896 has carried on a general practice at Bandon. Member of the British Medical Association and Irish Medical Association. Vice President Cork Medical and Surgical Society. Medical Attendant to the Royal Irish Constabulary. Medical Officer to the Post Office. Referee of the Prudential, Gresham, Guardian and other Assurance offices. 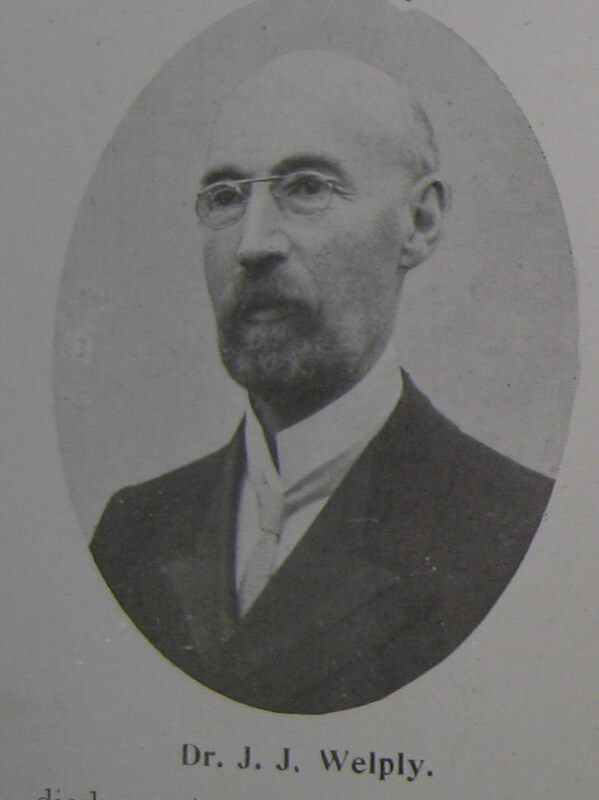 Author of " Case of Haemorrhagic Endometritis" (1903). Rev Andrew Craig Robinson MA. The Rectory, Ballymoney, Ballineen. Second son of Richard Bell Robinson of Cork and his wife margaret Anne, daughter of Captain James Montgomery Blair of the 99th Regiment and grandson of Lieutenant John Wynne of the 46th Regiment whose father was Lieut Colonel John Wynne, MP for Castlebar 1727-47. Born at Cork in 1839. Educated privately and at Trinity College Dublin. BA 1860. MA 1865. Ordained Deacon 1892 and Priest 1893 by the Bishop of Cork. Recotor of Ballymoney since 1900. Formerly Curate of St Multose, Kinsale 1892-1900. Diocesan Correspondent to the Church of Ireland Gazette. 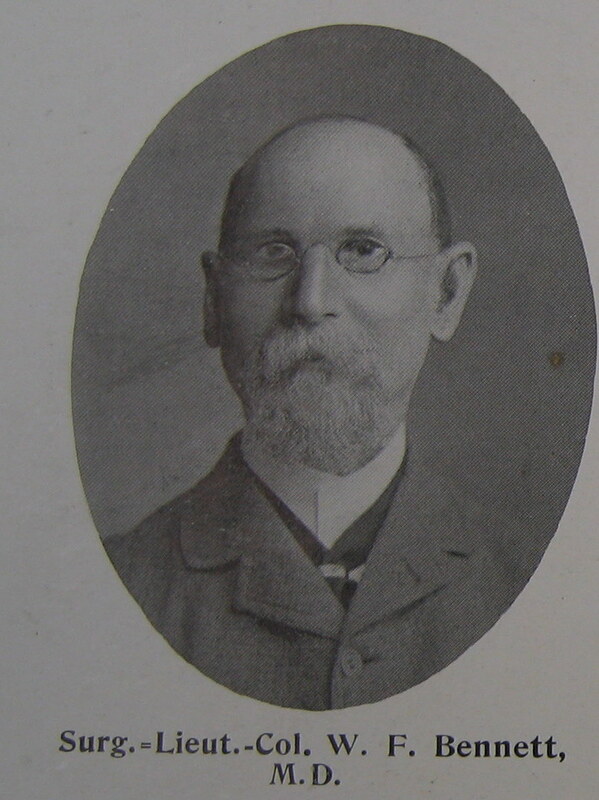 Author of St Fin Barres Cathetral (Guy and COmpany Cork 1899. "Leviticus". Married 10th July, 1876 Emily Anna, daughter of Thomas Jones, barrister of Donnybrook, Doughlas, Co Cork and had issue four sons, Montgomery Blair, Thomas Jones, Richard Arthur Wynne and Stuart Lennox and one daughter, Eleanor Elizabeth married to W.S. Dorman of the Public Works Department, Punjaub, India. Edward Joseph Ozzard Tucker, Bank of Ireland, Bandon, Co Cork. Son of the late Edward John Hellard Tucker, Navigating Lieutenant, RN. 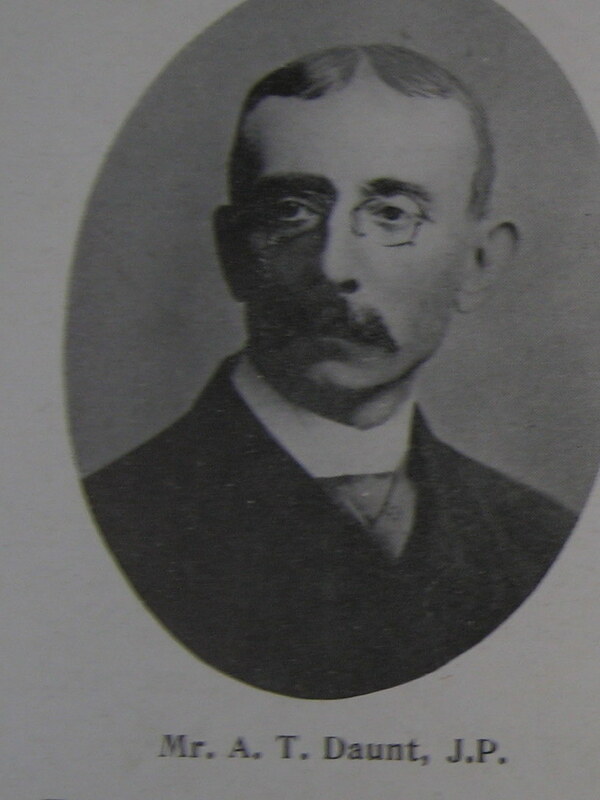 Born at Malta in 1852. Educated at the Royal Naval School New Cross, London and Bray College. Agent for the Bank of Ireland, Bandon. Entered the headquarters of the Bank of Ireland in Dublin in 1870. Subsequently held positions in the bank at Belfast, Westport and Wexford. Sub agent at Roscommon and Wexford. 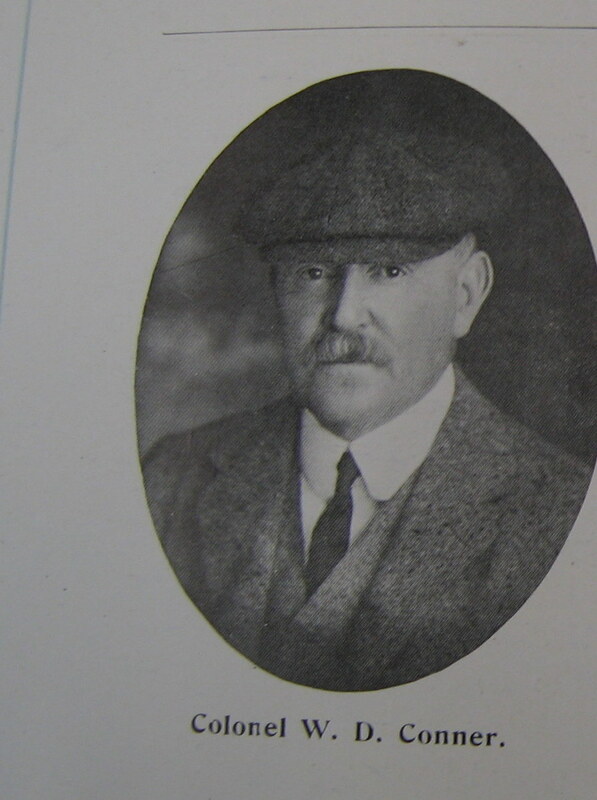 Agent at Callan and since 1899 held the position of Agent at Bandon. A member of the Institute of Bankers, Ireland. Treasurer of Bandon Agricultural Society. Member of the Select Vestry, Ballymodan etc. Married in 1880 Gertrude Marian, daughter of Richard Nunn Allen, shipowner of Wexford and had issue three sons and three daughters. John Jagoe Welply MD, Floraville, Bandon, Co Cork. Son of William Norwood Welply of Kilronan, Co Cork. Born in 1851. Educated privately and at Queens College, Cork. MD with First Honours Gold Medal and Peel Prize in Medicine QUI 1876, M.CH, LM, Queens University Ireland. Since 1879 had been engaged in general practice in Bandon. Was formerly Medical Officer of Bandon Dispensary and Medical Officer of Health for Bandon District which positions he resigned after holding them upwards of twenty years. Author of "Creameries and Infectious Diseases", articles that appeared first in the Lancet and were subsequently published in book form. They were based on an account of an epidemic of typhoid fever which he traced to a creamery. This was the first recorded case of infectious diseases spread by creameries and led to much more efficient supervision. Married firstly in 1880 Ellen (who died 1904), daughter of John A. Jagoe of Westfield, Co Cork and had issue one son and one daughter, secondly in 1910 Jane, daughter of George Crofts of Templehill and Concamore, Co Cork.